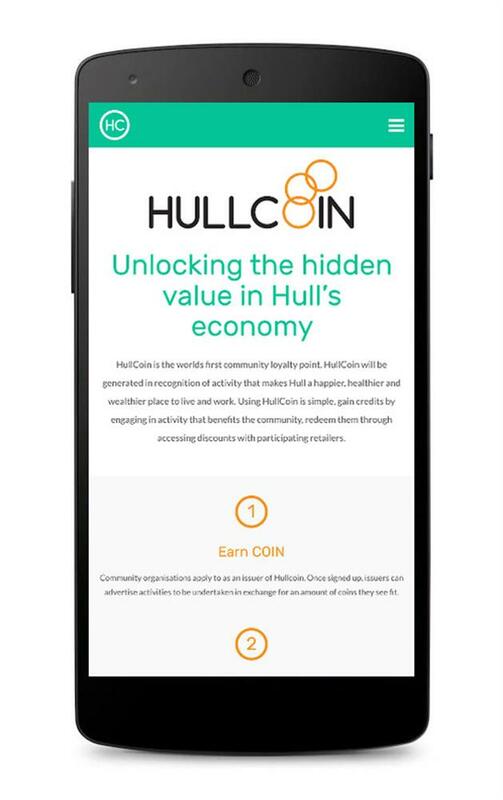 HullCoin is a new kind of local currency. 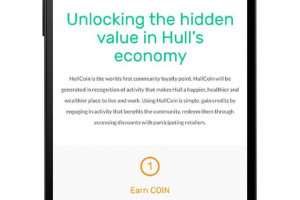 People in Hull can earn HullCoin by undertaking activities that benefit the community and can then exchange them for discounts at local goods and services. HullCoin was established as a piece of social policy research undertaken by Hull City Council. This concluded that by using the technology behing the cryptocurrency Bitcoin it was possible to create a new kind of economic system that rewarded the great often unrecognised acts of kindness that take place in Hull's communities every day. 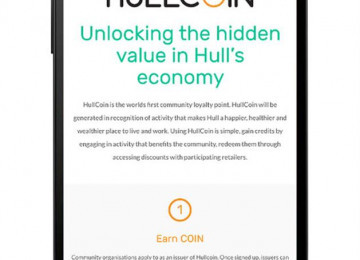 By issuing credits through a network of charities, the Local Authority and local community organisations it is possible to create a new way of people to contribute to HullCoin has generated worldwide attention both in terms of the press coverage it has received but also in other towns and cities wanting to adopt the system. The press coverage has included features in The Guardian, The Financial Times, BBC News, The Big Issue and Tech North. We are also working collaboratively with organisations based in Endhoven, Cardiff, Leeds, Pittsburgh, Barcelona, London, Milan, Abuja and Memphis all presenting a desire to adopt the system we have developed in Hull. Kaini Industries was eastablished in 2014 as a not-for profit company to develop HullCoin. 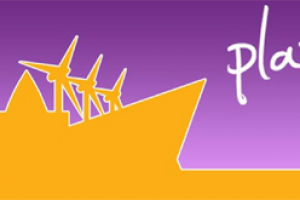 A new kind of local currency that recognises and rewards the great achievements happening in Hull by giving people a digital credit that can be exchanged for discounts on local goods and services. 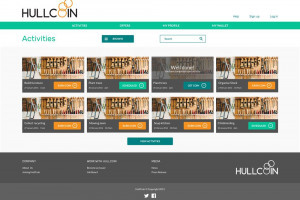 The team behind HullCoin, employed by Kaini Industries have a unique blend of experience and skills within the fields of community development, technology expertise, working within the public sector, legal experience, product development and working with business and retail. Kaini Industries is the only organisation of it's kind in the UK. Working as a social technology company it has built the first social application that utilises blockchain technology that rather than for speculative financial gain e,g. Bitcoin is being used to stimulate postive social outcomes in communities. Since being established Kaini Industries has received support and investment from Comic Relief, the Big Lottery Fund, and Key Fund to turn the concept of HullCoin into a reality. This aligning the skills and experience within Kaini Industries into a coherent and dynamic organisation well placed to act as a catalyst for social and economic change within communities. Kaini Industries was recognised in 2016 for its work in developing HullCoin through winning the award for Best Emerging Technology at The Hull Digital Awards beating multi-national companies in the process. Project Delivery Manager: Kaini Industries The Project Delivery Manager takes legal responsibility for receiving and spending the funds raised and ensuring the project is delivered.